We’re working to a timetable as Daniel & Joyce have to catch the Eurostar back to Belgium on Tuesday evening and we plan to have them depart Waiouru at Rugby. 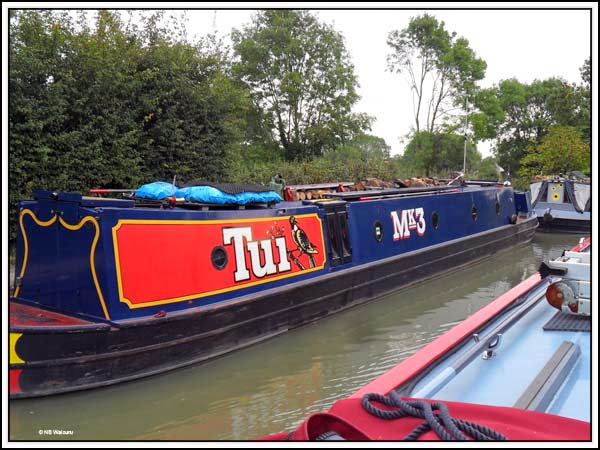 Despite being jetlagged they managed to stay sufficiently alert to work Waiouru from Leamington Spa to just beyond Bascote Locks before we stopped for the night. This morning we departed at 9.30am and quickly reached Stockton Locks. 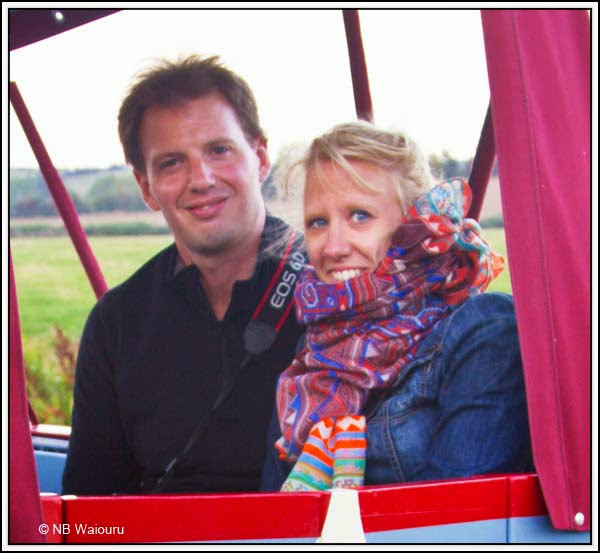 We were able to pair up with another boat owned by a South African couple who spend their summers on the canals and winters in Cape Town. 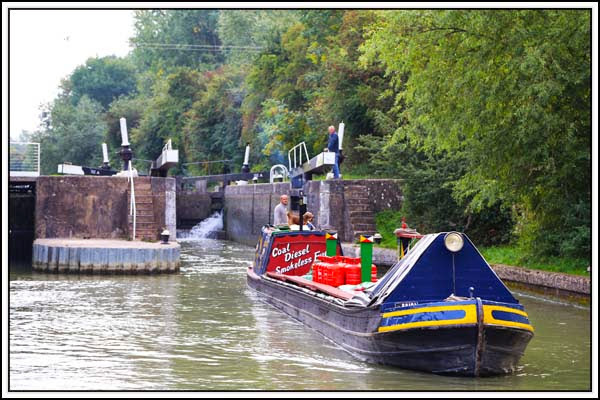 Having two crews allowed us to fly up the eight locks. There were four boats going down including a working boat. 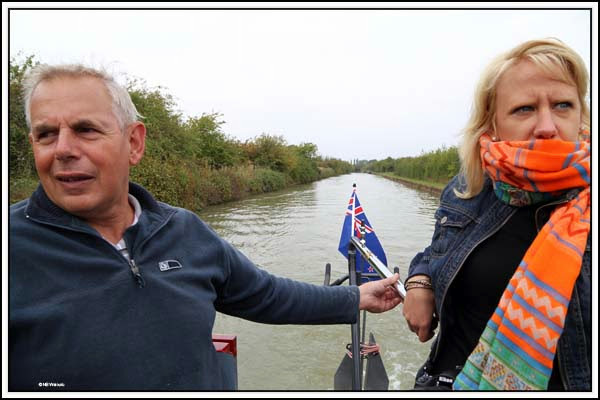 Daniel has steered a narrowboat on one of our hire holidays but it’s a first time for Joyce and she was reluctant to take the tiller. Are we going left or right here? Daniel took Waiouru through most of today’s locks and did rather well despite because his mother had her heart in her mouth. Along the way we passed a boat with an obvious NZ name. Tui is the name of a native NZ bird. It’s also a brand of rather nice NZ beer! 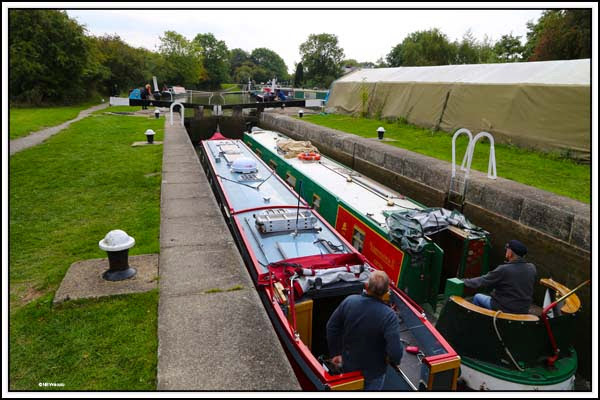 We topped up the water tank above Calcutt Locks and then headed to Napton Junction turning left to Braunston. There was no time to dally as we had a late (very) lunch planned at The Boathouse. Chas & Anne (nb Moore2Life) were in the process of mooring as we went through Foxhangers but regrettably there was no time to stop. Perhaps next time! 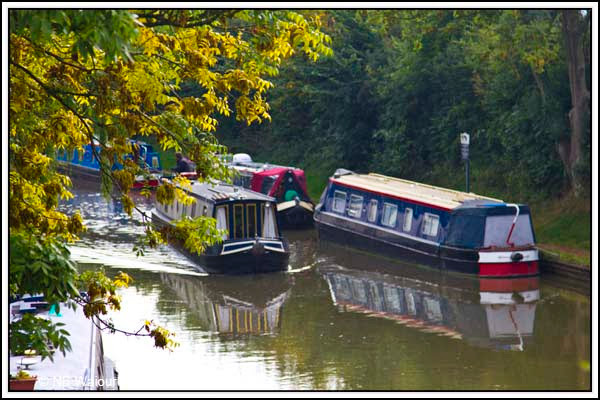 We managed to find a mooring in Braunston just beyond the junction water point on the towpath side. It was a very late lunch in The Boathouse before returning to Waiouru via Midland Chandlers where Jan purchased the October edition of Canal Boat and I bought a couple of non slip pads for the rear steps. 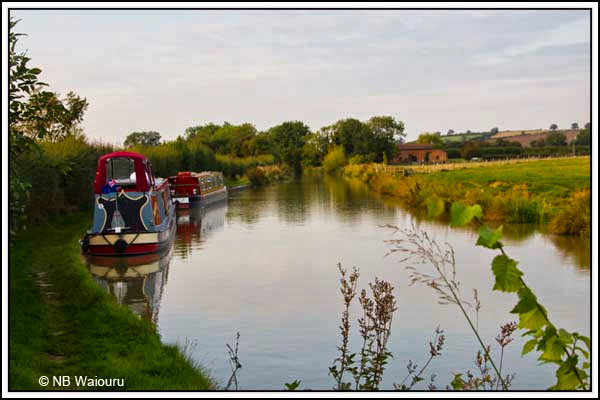 We wanted to get an hour north of Braunston before mooring for the night. Daniel had some work to complete (remotely via the internet) whilst joyce and I went foraging for blackberries (successfully). 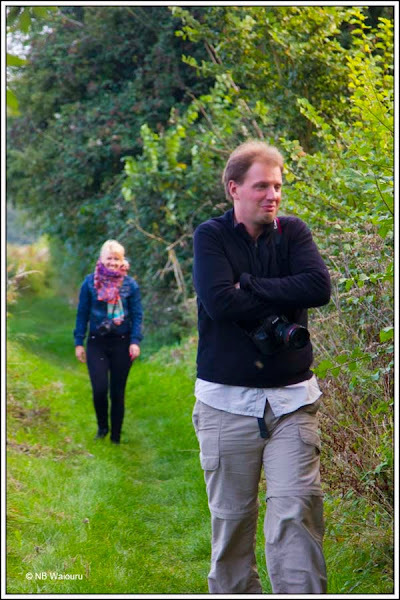 Daniel then joined us for a walk along the towpath. 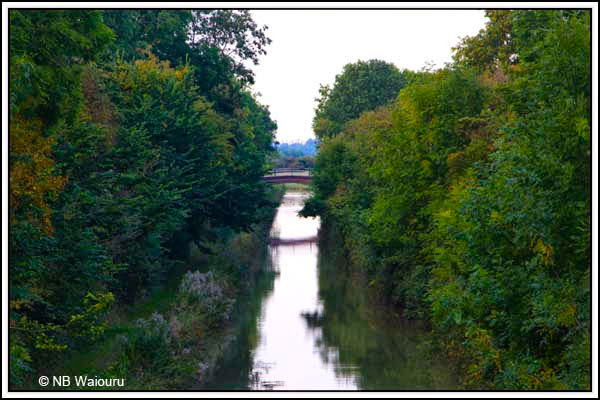 The was a rather attractive canal view from the local farmer’s brick arch bridge. Hummmmm… The jetlag must be wearing off!